A beautiful Deschutes River Redside! 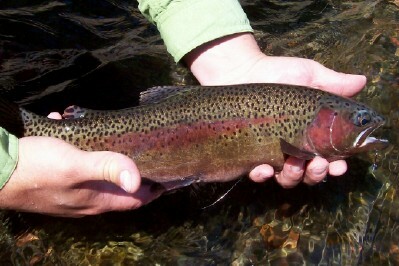 The Deschutes River is home to the famous Redside; a powerful and beautiful variety of wild rainbow trout. Combine this fish with a tremendously insect-rich habitat, and let the fishing begin! With reliable hatches of caddis, mayflies and our famous spring salmon fly hatch, there are many ways to tempt these powerful trout. Our guides will take you to the best fish-holding segments of the river in the Maupin area, and provide whatever level of assistance and instruction you prefer. Whether you're a seasoned angler or a complete novice, our day fly fishing trips are a great way to unlock the secrets of the Deschutes! The Deschutes River is recognized throughout the world as a premier steelhead fishery. Each summer and fall, powerful steelhead make their way from the Pacific Ocean, swim the Columbia River and make a right turn when they reach the mouth of the Deschutes. 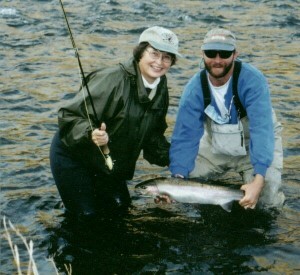 Deschutes River steelhead range in size from 4-15 pounds with an occasional fish in the 20 pound range being caught. July through November is a popular time to target steelhead, with September and October typically considered "peak". Wanting to learn to handle a Spey rod or polish your Spey casting skills? Our Spey fishing instruction and lessons are a popular addition to our steelhead trips. If you're interested in an "all-inclusive" package including guide service, lodging at The Oasis Resort, and meals, follow this link to check out our Steelhead Package! 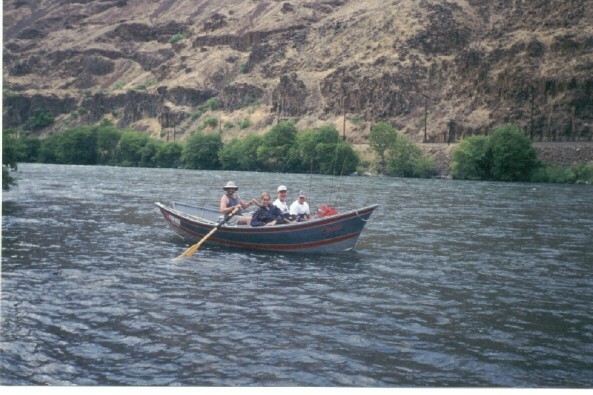 A driftboat is a great and historic mode of transport to experience the Deschutes River canyon. But, if a walk-in trip better suits your style, the Maupin area provides fabulous road access to some superb fishing waters. Just let us know your preference, and we'll work with you to arrange a great trip! and Deschutes River boater pass. includes lunch, beverages and flies. includes snacks, beverages and flies. If you have equipment needs, please let us know and we'll do our best to accommodate! All of our guides are licensed by the Oregon State Marine Board, and operate under permits issued by the Bureau of Land Management.